Churros Con Chocolate – Dulcinea – Eats Yummy! While strolling at the nearest mall, Ana and I bumped in a food cart of Dulcinea. We ordered this churros with rich chocolate dip as a dessert since we have a place to dine in mind. 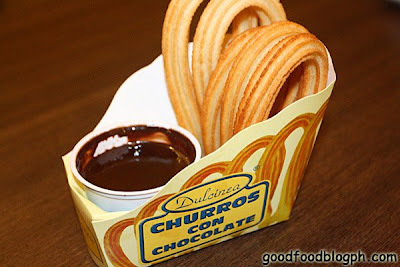 The churros Con Chocolate was actually newly cooked and was still hot when we ordered it. It was so yummy. And even though I am not fond of desserts and sweets, this one is truly a good food. Yummy! Give love to your family and friends by having The Coffee Beanery cakes and pastries in celebration of Christmas season. 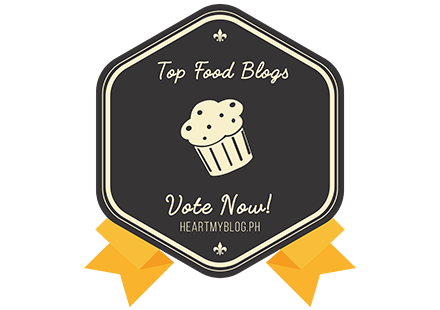 Dulcinea Greenhills branch has the worst customer service! If you don't want your special occasion to be ruined, never eat in this restaurant!It has the most discourteous waiter and unprofessional staff. The food is very pricey and not worth your money. The place is also too small, doesn't have a rest room, and is very unwelcoming.